Theft has become one of the major threats at many different construction sites and other commercial sites. With the increasing prices in copper, stainless steel, and lumber, criminals are now honing in on where these products are. They can get their hands on them very easily when they find a construction site that isn’t protected by a security guard or security cameras. Many security guards fall asleep or walk away just at the instance when the criminals strike. There are many cameras that cannot catch the images of the criminals because of poor lighting. These sites are in need of a big change when it comes to their security. With technology changing so quickly, there is help for these sites. For many companies, saving money is very important to them. This is one of the reasons that they feel the need to invest in some type of security system in order to keep their products and construction site safe. There is the constant worry about money however. This is where the right security system can come into place. When using security cameras, the company may feel as if they have their very own virtual security guard. There are construction companies that are unsure why they need to spend the extra money on security cameras or security guards. The key is not losing any money when their construction sites are vandalized or criminals decide to steal items that are expensive such as copper and lumber. Many vandals know will scope out construction sites to be sure there are no cameras. This is how they have they know to steal from that site. It is hard to get these items back and most of the time, insurance won’t pay for them. The key is making sure that your site is very well protected. 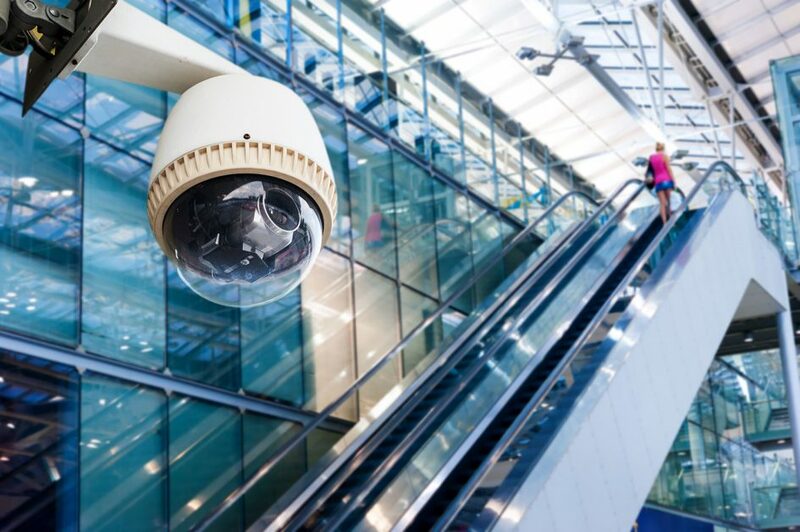 Knowing how important security systems can be the first step in protecting a construction site or other commercial site. In the world of construction, there are many situations that arise that the contractors are not expecting. One of these is not having a power supply on site. In the more rural areas where large companies are starting to expand, there may not be a way to get that much power to the site unless they have solar powered tools and accessories. This can be critical when security cameras need to be put in place. The foreman will need to have a place to plug them in or at least get some kind of power to them. This is where the exciting world of technology starts to help them out. Technology has become one of the best friends of those in construction especially with the prices of lumber and copper growing. Technology can now help these construction sites keep their supplies safe and not have to worry about the vandals in that community. How can technology really help these sites? Well, in quite a few ways actually. One of the best ways that it has been able to help has been with mobile surveillance units. When a construction site has a mobile surveillance unit, it is basically like having their own virtual security guard. Construction sites can now rest easily when they know that everything on their site is in safe hands of a mobile surveillance unit. There are quite a few reasons that choosing a mobile surveillance unit can help a construction site with security. One of those reasons is the cost. The cost of these types of units will actually help cut in half the price of other types of security cameras or security guards. A mobile surveillance unit will also be online twenty-four hours a day so that the construction site owners can rest easily at night knowing their property is safe and well-protected. This type of security helps to keep wireless audio and visual contact with the owners and the cameras can be checked from their home or mobile phones. They will always have the knowledge of what is happening on their work site. Another way that this virtual security system helps to save money is by being very environmentally friendly. Many manufacturers of technology such as cameras know how important it is for their customers to be kind to the environment as well as their pockets. With this mobile surveillance unit, customers can receive a solar-powered unit that can be aligned with motion detectors and the sites alarm system that will alert an officer if there has been an intruder. This unit also has a zoom feature on the camera that will help the site owner to see license plates and faces easier. Implementing this type of virtual security system means that the construction site owners won’t have to worry if there is a power outage. This mobile unit is set up for just that type of situation. If a power outage occurs, the extended battery in the unit will actually last up to four days without power. This is a feature that many other cameras do not have. Site owners can rest assured that during the event of a terrible storm, they don’t have to worry about their supplies because the cameras will still be monitoring the site for at least four days. This mobile surveillance unit has quite a few advantages and features that can help to save money on the construction site, but also help to save the very valuable supplies and equipment from vandals and criminals. Systems like this are on the cutting edge of technology and companies all over the world need them. They are incredibly beneficial to construction sites that have many valuable machines on the premises. When these cameras have been added to the site, the owner can be worry-free Installing these cameras can make a world of difference when it comes to saving money, time, and the stress involved with owning a construction site.